With a prestigious Buckhead address, the new luxury development of Stonehill at Lenox supplies high-end townhomes, complimented by the vibrancy of the surrounding neighborhood. Just steps away from popular restaurants and shops, the townhome development is also close to the park, with around three-dozen different townhomes to choose from. The Pulte community offers two different designs of three-level floor plans, with the convenience of a two-car garage and of low-maintenance living. With open floor plans, the contemporary townhomes are also designed with the option of a fourth-level terrace, allowing for additional outdoor living space and fantastic views of the surrounding neighborhood. As well, the homes sit within a short distance of a local mall and just minutes away from Downtown Atlanta, plus within a short walk of nearby public transportation. 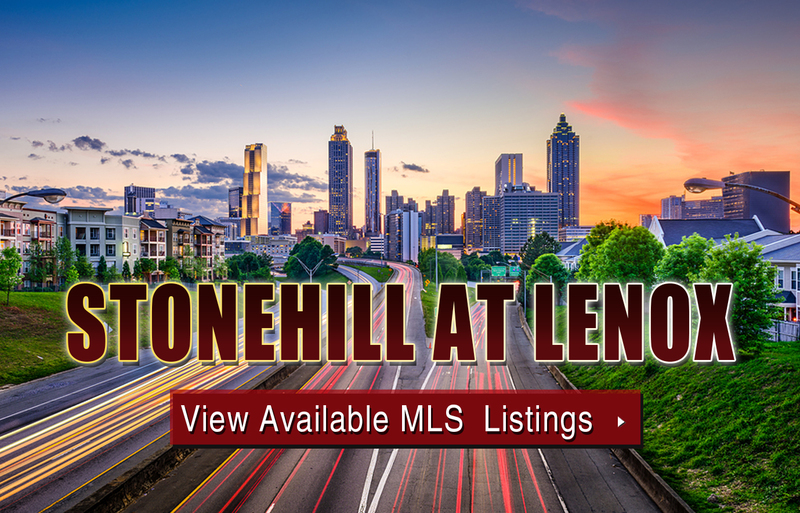 For more information about Stonehill at Lenox townhomes for sale, contact The Zac Team today at (404) 564-7272! Listed below are recently closed sales at Stonehill at Lenox in Atlanta. Whether you’re thinking about buying or selling a townhome at Stonehill at Lenox, checking to see what other comparable properties have sold for in recent weeks and months provides helpful insight into current market conditions within the community. For more information about Stonehill at Lenox townhomes for sale or for a complete list of recent homes sold in the neighborhood, contact The Zac Team today! Can’t find what you’re looking for in Atlanta’s Stonehill at Lenox neighborhood? Start browsing other Atlanta real estate for sale or give the Zac Team a call at (404) 564-7200 for help with your new home or condo search today!